It is a British-born tradition that a bride wear "something blue" on her wedding day as a symbol of purity, love, and fidelity. 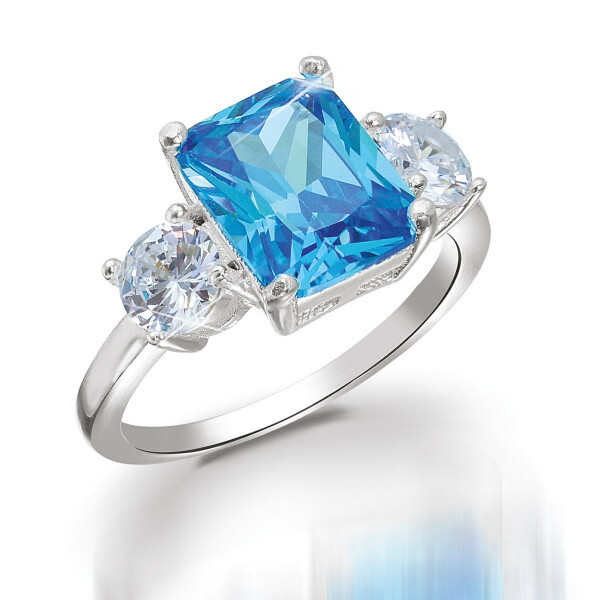 When American Meghan Markle married her prince charming, Harry, she had the option of wearing an exquisite aquamarine ring from Princess Diana's estate as her "something blue." It was stipulated in Diana's will that the ring be given to her son's wife. As she was not yet married, Meghan decided to wait until the reception to wear the stunning blue ring as a tribute to the late princess, whom she had never met. Created by the prestigious British jewelry firm Asprey, Diana's ring features a large emerald-cut aquamarine offset by diamond solitaires. Today, the ring is worth nearly $100,000, but considering it was owned by one of the most beloved women ofour time, its true value is incalculable.